The little island of Inis Shark lies five miles off the northwest coast of Connemara and adjacent to the southwest end of Inishbofin Island. Landing there in its primitive harbour is extremely difficult due to the constant swell of the ocean and almost impossible in harsh weather. The island is dotted with the ruins of a past community and the last 23 of its inhabitants were so sadly evacuated in 1960. This was a story of a happy, hardy island community, dependent on both the sea and the land for their existence, and which received scant or negligible assistance from the State. Over the years the average age of the islanders grew steadily older, there were tragedies of drownings and urgent help was needed to provide even simple facilities and a radio link for their little harbour which was now too dangerous to accommodate their few boats. Fr Jerome Keily, curate at the time on Inishbofin, approached the government departments for assistance only to be asked if he would try and find it on a map for them first, after which there was only indifference and nothing was done. There were not enough voters on the island to be worthwhile! The islanders had to leave in heartache from the place in which they were born and raised, where they had built their homes, tended their fields and fished the ocean for generations. They had to settle on allocated parts of the mainland where the spade only dug into stone. Some went into homes and some even went far inland and committed suicide. The island, beautiful as it is, now stands as such a sad reminder of the State’s indifference and lack of care for so many of its maritime people. The same sort of indifference shown in these times by the government not agreeing to raise or replace our sunken national sail training ship, Asgard II. But its history also goes much farther back… to the early Christian era when a monk settled there in the 7th century and founded his monastic settlement. The ruins of the now abandoned 19th century church was dedicated to the island’s patron saint, St Leo, and according to Roderic O’Flaherty’s ‘Iar Connacht’, “on the island are the ruins of an ancient church called Teampaill Leo , and near it a stone cross, Leac Leo . 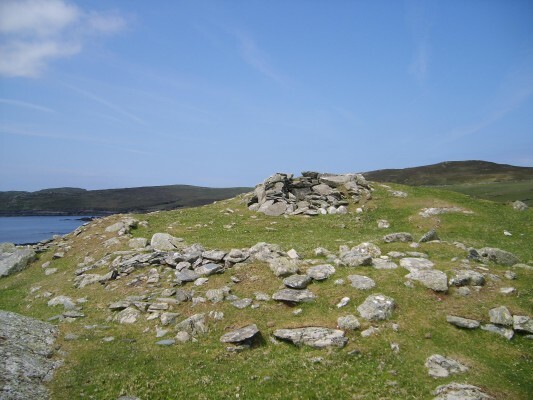 On the south shore there is a cave called Uaimh Leo , where the saint is said to have passed much of his time in prayer and meditation; and in it is a holy well dedicated to him. There is also shown a ruin called Clochán Leo , in which he is said to have dwelt”. 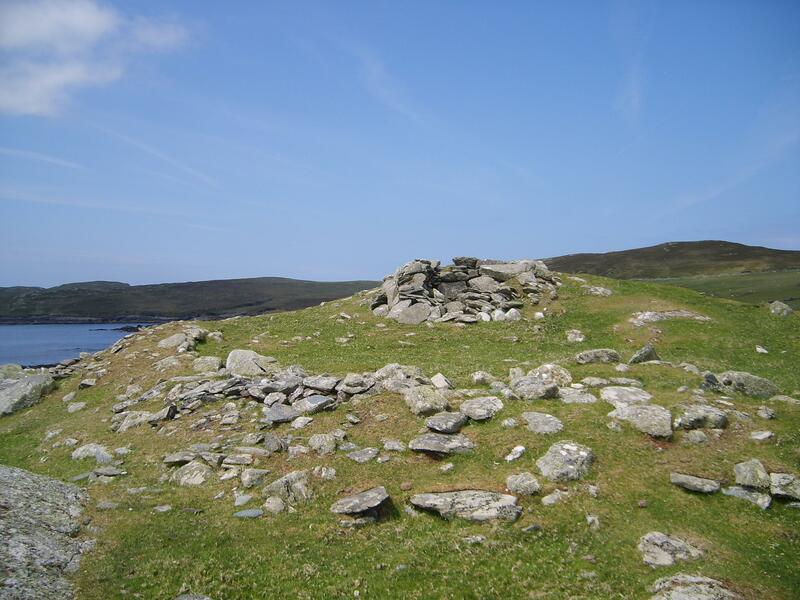 On a height over the southern shore there certainly stands the clear remains of an early Christian sub-rectangular oratory built on a raised area and within a substantial oval shaped enclosure with a narrow entrance at the north east end. There remain some traces of a possible rectangular structure to the east. The only 5th century rectangular enclosures are to the east of the harbour, possibly containing early cemeteries. The reference to St Leo is possibly connected to St Leo the Great who, whilst still a deacon, was elected to the papacy during the years 440 to 461. He was born in 400 in Tuscany, Italy. A second Leo was elected to the papacy in 683 and was born in Sicily. In all there have been 13 popes named Leo but the only connection found with Ireland was when in 445 Pope St Leo granted his approval to St Patrick to establish his archiepiscopal See in Armagh.